It’s vitally important that you read books. As Mark Twain wrote, “The man who does not read good books has no advantage over the man who cannot read them.” And many would agree that “personal development” books are the ones to focus on if you’re trying to improve yourself, your position in life and your quality of life. But which ones should you read? There are tens of thousands to choose from. Vic Johnson, a veteran personal development author, speaker and trainer, answers that question for us in “Self Help Books: The 101 Best Personal Development Classics." One Woman's Search for Everything Across Italy, India and Indonesia. Elizabeth Gilbert tells how she made the difficult choice to leave behind all the trappings of modern American success (marriage, house in the country, career) and find, instead, what she truly wanted from life. 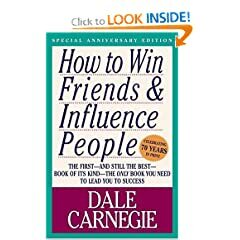 From an era when 'self-help' books had genuine depth, Dale Carnegie's "How to Win Friends and Influence People" has influenced the world. 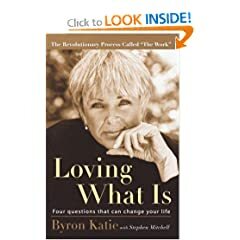 Four Questions That Can Change Your Life. Contrary to popular belief, trying to let go of a painful thought never works; instead, once we have done The Work, the thought lets go of us. Author Stephen R. Covey presents a holistic, integrated, principle-centered approach for solving personal and professional problems. Overcoming Self-Defeating Behavior. Dr. Mark Goulston shares ideas that have helped thousands of patients overcome pain, fear, and confusion-to approach life's challenges with dignity, wisdom, courage, and even humor.